Mixing Ratio: 1 part Hot Pepper Wax to 16 parts water. For heavy infestations, 1 part Wax to 16 parts water. 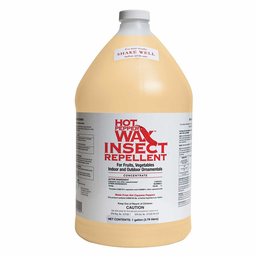 For maintaining repellency after infestation is under control, 1 part Wax to 64 parts water. Active ingredient: Capsaicin, 0.00018%. 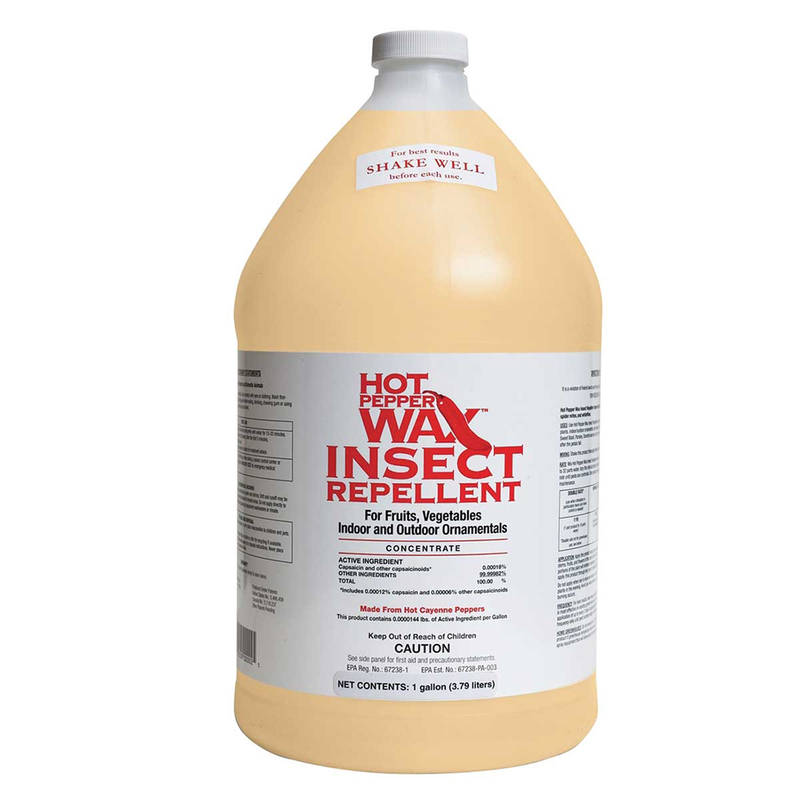 Hot Pepper Wax natural insect repellent is a garden/greenhouse spray repellent and insecticide proven effective against aphids, spider mites, whiteflies, cabbage loopers, beet army worms and much more! Protects up to two weeks with one treatment. The chief active ingredient, capsaicin, is an extract from cayenne peppers. It is harmless to humans - in fact, it is as edible as the sauce on barbecued buffalo wings. Using a patented formula and process, Hot Pepper Wax blends capsaicin with a highly refined paraffin wax and other food-grade ingredients. The result is a spray that coats plants with a harmless, micro-thin barrier to deter pests. Some insects are done-in by the capsaicin, others by the wax. It also acts as an anti-transpirant, reducing water loss and stress...a true benefit for new transplants! Safe for edible crops - just wash it off in warm water! Available in a quart or gallon.